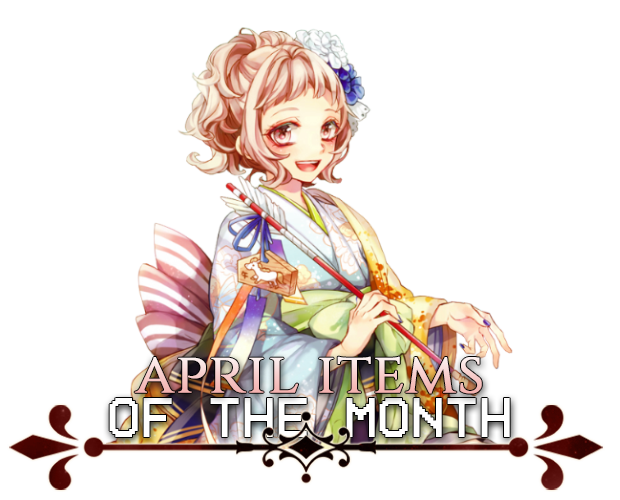 Welcome to our wonderful Items of the Month! 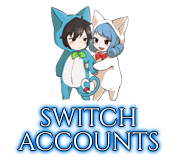 This time, the dev team and the admins have come together once again to bring all of you some exciting new stuff all relating to the season of Spring! Whether it is April Fools, Flowers, or Easter, we all hope you like and enjoy these items, and of course, a lovely spring to everyone! April 2019 IotM designed by our standing Dev Team! Show them some love! It would be easy to overlook this lacrima as nothing more than a useless crystal, but the truly gifted within the realms of magic would be able to see a mysterious aura of magic, seemingly mischievous in nature, enveloping it. Nothing about this lacrima's history is really known, but there are a few theories that span time as to how it came into existence. When doing some research on the origins of this lacrima it was found that one of the most popular theories says that it was a famous illusionist who died in the middle of practicing a new dangerous trick and that their wish for their trade to continue created this lacrima. It is said only a worthy apprentice will be able to unlock its true potential. Another popular theory is that a priest who would do anything to help someone in need was put in a dilemma where their faith was truly put to the test. His small shrine was under threat of being destroyed and he wanted to find a way to prevent it from happening without resorting to breaking his vows, so he prayed day after day hoping that a solution would come to him. One day when he came to leave an offering and pray he found a lacrima on the altar. Who left this lacrima there or why was never revealed but the shrine that should have been destroyed vanished one day never to be seen again. The mystery surrounding this happening classed the ground as cursed and to this day the area has never been built upon again. The third most popular theory is more folklore. Demons saw that the Gods and Angels were shackling the mortals expecting them to give offerings while keeping them in line with fear. Only giving select gifts that could keep them useful but without breaking the bindings of servitude. To create a little chaos within the world demons introduced magic to the world and showed the mortals how to fight back against those who would keep them under yoke, within time they turned their backs on the old ways of prayer no longer fearing the gods of old with the new power they had been gifted they could now defend themselves. This lacrima looks like a crystalline tree on top of a mountain with a river coming down the side of it. The vibrant blues, greens and brown could have this lacrima easily mistaken as a pendant or broach, it is only upon further inspection that the tree seems to burst into full blossom. The history of this lacrima is a long forgotten one but it is said if you go to a forest on the first day of spring with only the wish to see nature at peace and the world in a harmonious balance, that you may find a grove that has been lost and forgotten for centuries. It is said that you the traveler needs to stay on the grass-covered path and only look ahead, listening to the sounds around them as they travel to the heart of the forest. 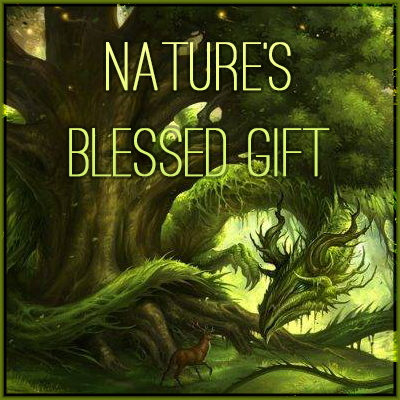 It is said that the forest will be filled with many dangerous trials and only those who have the true blessing of nature will be able to pass them to gain the gift at the center. These trials are mainly sensory so it is said to make those undeserving walk off the path and thus become the newest people to call the forest their home for eternity. Those who manage to get to the center are met by a mountain that wasn't seen before they had entered. At the bottom, there is a stream from water that seems to be falling from the top. It is said that only a few have ever attempted to get to the top to see what lies there due to the perils that come with climbing to the top. Going by the lore surrounding this mysterious forest only one person has ever made it to the top, and what they had seen was a single tree surrounded by beautiful flowers and a river that seemed to originate where the tree roots sat. They also said that when they got close to the tree it started to bloom, and from one of the blossoms the lacrima fell and landed in the water cleansing it and so enriching it with the last thing needed to make this lacrima active. There are many things within the world that can create magic and illusions, this can be shadows, the light, or even nature itself through the side effects of ingesting certain plants or spores. The cause doesn't really matter, though, as this scroll was found deep within cursed land hidden out of sight for many centuries until some fortunate or unfortunate soul, depending on how one might view it, came across the object. Much of the secrets it held have been lost to time but there are several that can be read, telling dark secrets of how trickery and nature can be used together, in harmony and to the benefit of the reader. Normally a person finds that they can only find they can trust in a single pet or companion which they can depend upon. This ability allows the owner of this lineage to realize that they can find trust in another to watch their back. Due to this, the wielder of this lineage not only gains the ability to acquire a second combat pet but also finds that this combat pet is slightly stronger than normal due to it gaining a third ability (The third ability of this combat pet ranks up with the owner up to S). Nature has a way of enticing and entrancing people with its beauty and scents. The wielder has found that the world is now their toy due to having an allure that seems to be unparalleled by any other; so much so people are willing to jump at every request and command they might have regardless of how foolish or selfish it may normally be considered. 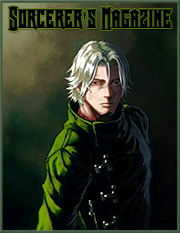 This passive ability is completely effective during plot, however, when used against players, player-owned NPCs or event NPCs, OOC permission must still be sought, even in plot. Illusion and nature both have ways of being able to hide things in plain sight one way or another as the owner of this lineage most likely found out. This ability allows the wielder to not only change their appearance, scent and even the type of magic they can apparently use if they want to go that extra mile in tricking the enemy. (If they are a slayer, for example, someone might pick them us as a summoner instead, depending on the circumstances. They don't get the benefits of said magic or element they are pretending to have.) They have also found that they are able to hide completely as if they bend the light around them (When it comes to PvP, this ability complies with the max allowed buff of the wielder's rank). This ability also has a duration that matches the max duration for a spell of the wielders rank. The wielder of this lineage likely had to read over this spell a few times as it almost seems to break the nature of time and space itself. If they are willing to pay the original cost of a spell cast targeting them, they can either completely null that spell or take half the damage themselves and throw the other half back at the one who originally cast it, as longs the spell in question is within user rank burst range and the user pays the original MP cost of the spell in question. Further, if they decide to pay the original price twice they may reflect the spell back at the attacker completely (This only works for spells the wielders rank or lower and caps at S rank. All base stats for reflected spells follow the original spells information). This ability can be used once per round max. This ability acts a little strangely from what one might expect as it almost seems to keep everything in balance. Most would believe that this would be the user's HP and MP but that isn't the case here, well, at least not entirely. Everyone is prone to finding themselves outmatched by an opponent every now and then, or even running out of mana due to the need to use strong spells. What this ability does is taking 20% of what is in one pool, HP or MP, and transfers it to the other should the user fall below 25% of their overall MP or HP. To help with the issue of mana flow the wielder also finds that their spells cost 50% less. Many elements make illusions and others are required for nature, when working in harmony it almost seems like the unnatural happens. 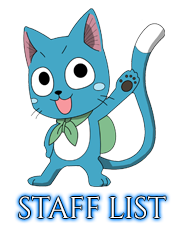 This ability allows not only the wielder of this lineage to match the speed of the fastest person within their user rank burst range around them but also allows them to do it without making a sound or leaving a trace within things that they should such as dust for example. The nation of Seven is known for its lush nature, abundant forests, and wildlife, but it wasn't always this way. A long, long time ago, when dragons still claimed the skies to themselves and destroyed all those that opposed them, Seven was a scorched wasteland, a great red dragon claiming the territory and covering the land in layers of fire and ash, spreading terror and death wherever it appeared. Many had lost their lives, and as a consequence, just as many had tried to fight the dragon to end their misery and free the land, all of them, in the end, consumed by roaring flame. It had almost seemed like there was no way out of the endless circle of pain, until, one day, a young man looking for shelter from the ever-raging firestorm discovered something he had never seen in his life: A small seedling sprouting from the ash, but a single leaf stretching towards the darkened skies, barely clinging on to life. The man was in awe over the beauty of this unknown being and tried his best to care for the dying plant, but it was of no use. There was nothing the man could do, and the plant shortly after would wither away, the single leaf falling to the ash-covered ground below. The man wept with great sadness, begging, praying for this beautiful thing to return, attracting the attention of Seven's scarred and broken nature. Over the years, nature had suffered immensely and built up an overwhelming hatred for the creature that caused this suffering, with this last straw deciding that finally, the time for revenge had come. 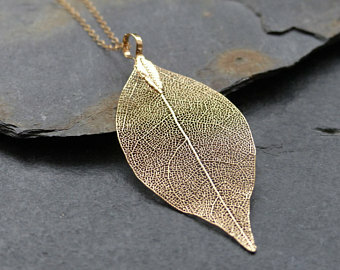 As the leaf touched the ground, nature would entrust it with all of its collective energy, transforming it into an amulet of pure gold attached to a golden chain, the man looking up with tearful eyes, taking the item into his hands gently. It had been in this moment that the man received the gift of nature, inheriting its collective power, but also its rage. The years of suffering, the loss, the pain, and the death, it had all been too much, and with an expression of pure hate, the young man snapped, realizing what he had to do and that there was only one way out. Immediately, although he was no slayer, the man began seeking out the dragon that reigned over the land and confronted it, the ensuing skirmish causing the ground to burn and fire to fall from the sky. For all of the battle, the winged monstrosity seemed to retain the upper-hand, the young man barely able to withstand the onslaught of heat and fire until, in a move of desperation, the man clutched the golden leaf around his neck, focussing his determination, the determination of nature itself on a single goal: To defeat the evil that had ruined his home. Within a moment, a massive burst of energy had been released, consuming the body of the man who had served as a vessel for nature, but also clinging to the dragon who, under roars of agony and defeat, was swallowed by the enormous explosion of magic, finally freeing the land of its oppression. It is said that where the man defeated the dragon now stands a massive tree, the oldest in all of Seven, all others in the land originating from the one who had given up all to save his home. Even today, the man is regarded as a hero in the country, and every man, woman, every child knows the story. What happened to the golden necklace? That, however, is a question no one can answer, and only time can and will truly tell. Description: Encapsuled within itself the item holds great magical power, readily bestowing it upon its bearer at will. This effect grants the user an additional user rank spell slot to be used on one of their magics which ranks up with them up to H rank. This spell has to be made and reviewed like any other spell and follows the same rules and guidelines apart from the fact that, as a downside, it can be used only once per thread and costs twice as much MP as a normal spell of its rank to cast. 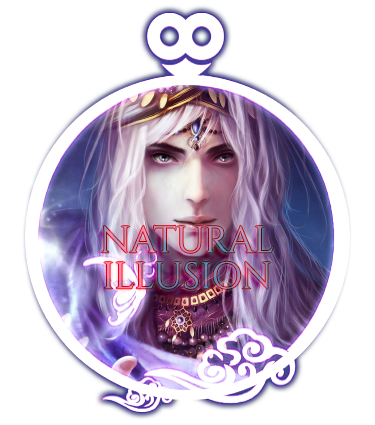 Description: The necklace carries with it the collective will of nature, channeled into its bearer, granting them a massive boost to their magical prowess. This effect grants the user an additional user rank advanced spell slot to be used on one of their magics which ranks up with them up to H+ rank. This spell has to be made and reviewed like any other spell and follows the same rules and guidelines apart from the fact that, as a downside, it can be used only once per thread and costs twice as much MP as a normal advanced spell of its rank to cast. Deep in the Reaper Forest bordering Seven, something odd happens during the season of rebirth. While the entire forest is black with death, unrotting but never blooming, there’s a place deep in the heart with a patch of green that only lives during the spring. Ivy runs rampant and the thick grass carpets a thicket of wildflowers that bloom in only the most perfect amethyst. Because the plants are so hearty from growing in such an otherwise dead area, the flowers and their stems have become prized for making weaponry of all things. Anything plucked from there might as well be made of the strongest metal, and it never withers from that moment on. Someone managed to get enough of the plants to fashion a bow and a quiver. The quiver sprouts seeds and grows its own arrows, so the supply will never run dry. It’s really quite beautiful and handy. Here’s hoping its wielder enjoys the fresh scent of flowers all the time and isn’t susceptible to pollen allergies. Description: The user fires a single arrow at an opponent. Once the arrow lands either in the target it does full rank damage, or once it lands near the target, the seed on the back of the arrow will promptly and violently explode at AoE user rank speed to do half user rank damage anything caught within user rank AOE range. Description: The user fires several arrows at opponents. Whether the arrows hit the opponent or the environment, the sharp, purple petaled tip will pop off. Within user rank burst range around the arrow, razor-sharp petals will explode out and attempt to slice up the target, dealing user rank burst damage. With the petals comes a puff of pollen to aggravate allergies and fog up vision. Persephone, the poor girl who had been trapped in the underworld from one tiny mistake. 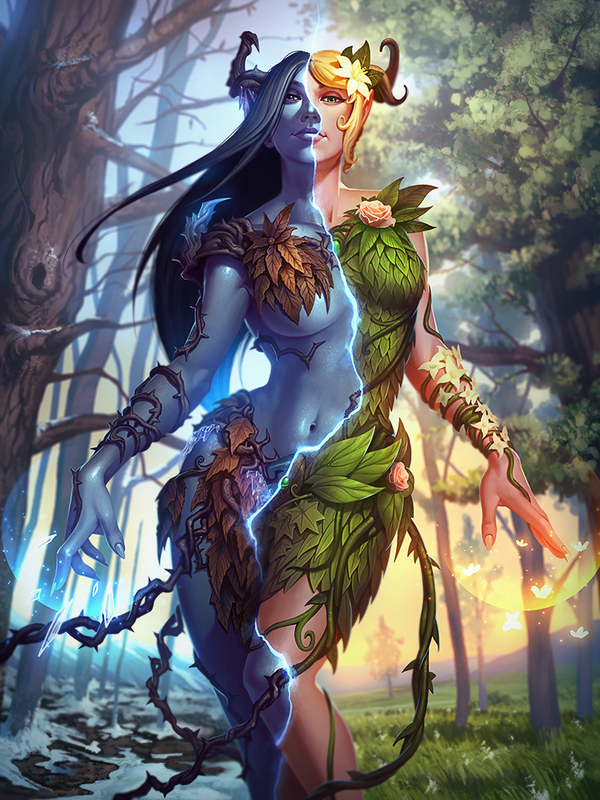 Every year during the spring and summer, she has come back from the underworld, to relish the time with her mother. There are two artifacts that represent her, one being her very own flower crown. It was finely crafted by the god Demeter, to honor her daughter. Now though, the time of gods has long been passed on as less and less believers have saw to caring for them. However, even without the gods, the power of this crown still continues till this day on. A crown that gives new life to those that wear it. Description: The wearer of this crown, feels as the crown begins to sink its vines and thorns into the head of the person. All of a sudden, a burst of energy comes from the crown and into the person. As it does, the user feels themselves becoming more and more god like. What is happening here is that the user is being used as a vessel, to house the powers of the gods. When the user gains this power, they gain a buff of 50%(+5% for every rank above D) to all their healing spells. As well as this, they give out a pulse of healing radiance, that heals allies within user rank burst range for 25% of max spell rank damage every post. Description: The wearer of the crown, can choose to take any damage not directed towards them, and take half of the damage that was supposed to be dealt for the other person for themselves. However, the person will still be dealt the damage not taken by the wearer. 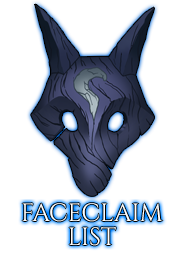 As well as this, the wearer of the crown gains a resilience only able to be received from having a bond with others. They gain a 30%(+5% at every rank) buff to physical damage resistance and 35%(+5% at every rank besides B+ rank) buff to magical damage resistance. In the past, a looming presence on earth threatened to destroy all of humanity, the demon Apocrypha. It was a creature of malice that left only destruction in its wake, and the mages of the time didn't have much time left before the beast snuffed out their lives as well. And so, the Banes of Apocrypha were constructed, their purpose being to slay once and for all Apocrypha. Their creation was a worldwide phenomenon, every talent from all over the globe pouring their efforts into their crafting. What came from this were items strong enough to elevate mankind to the level f the demon Apocrypha, and the creature was sealed away, never to see the light of day again. Yin is a culmination of all things associated with the symbol, including that of the earth. And just as the land always seems to persist through the harshest of conditions, anyone harnessing the jewel's power will as well. This means yin will grant its wielder and all allies within user rank burst range a passive 50% buff to spell and physical damage resistance. 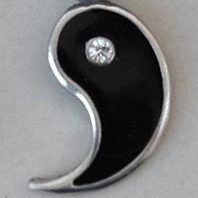 Yin possesses a great affinity for all things dark, it's very nature being a culmination of them. The wielder of the conceptual jewel may take advantage of this fact, using it to bolster their abilities and apply 10HP base damage to any spell. A drawback for this, however, is the fact their base health pool will be decreased by 20HP. The true origins of the ambrosia lamb species is deeply obscured by mystery. In fact, all that is known about this fluffy little thing can be gathered from the writings of a single zoologist. They were a pillar of science in their age, delving into topics no one before them had dared. Constraints of the period were no concern to them, and the only thing that motivated was their own curiosity. So of course when the illusive ambrosia lamb was discovered they were the first to jump at the opportunity to interact with it. What they found was that the ambrosia lamb was surprisingly unlike most other mythical creatures, behaving like a sociable little sweetheart. Quiet yet affectionate, adoring attention and head pats, one could easily compare it to a puppy. Over all this time, the ambrosia lamb hasn't displayed any signs of dying or even aging past the point of still being considered a lamb. And despite that, it is speculated the lamb has been roaming the earth for a longer period than humanity, although it's all just a theory. 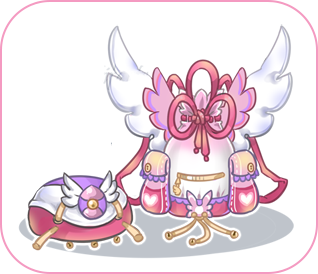 Description: The ambrosia lamb is truly a being of love and affection, decreasing the effect of debuffs by 50% before buffing the magic damage of one ally within user rank advanced burst range by 40%. The "debuff debuff" is applied directly (60% debuff and the 50% decrease becomes 30% debuff), although it can only be applied to one specific debuff once and used one time every post. 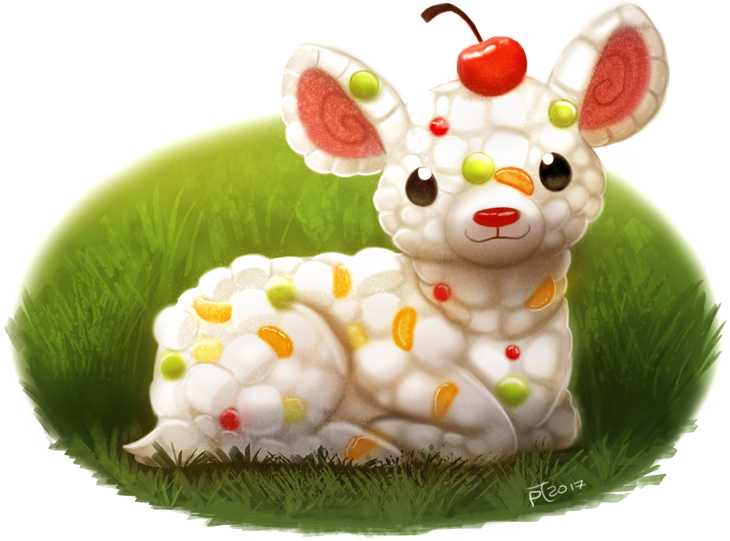 Description: The ambrosia lamb's coat of soft marshmallow-y goodness poofs out, whether it be on command or a defensive reaction. The volume to which it does this varies, but the wool can extend up to user rank burst range at user rank burst speed. If caught in the expanding salad, an enemy becomes stuck inside it for 1 post, essentially stunning them. Meanwhile, allies bounce harmlessly off the wool and are even healed for user rank burst HP. The ambrosia lamb's coat is actually very comfortable to relax in or take a nap whether you're stuck inside it or laying on top, but the rapid expansion may only occur once every other post. Leona is a girl of many different natures, literally. She is a nypmh from a realm that is extremely different from Earthland. It is a world of survival of the fittest, with no beings smarter than the fey. However, Leona was cast away from this world as she was the cause of overpopulation, of animals, flowers, spores, et cetera. She was also the cause of death to the same things. She had cast so much destruction over that world that she had to go into exile before it was too late. 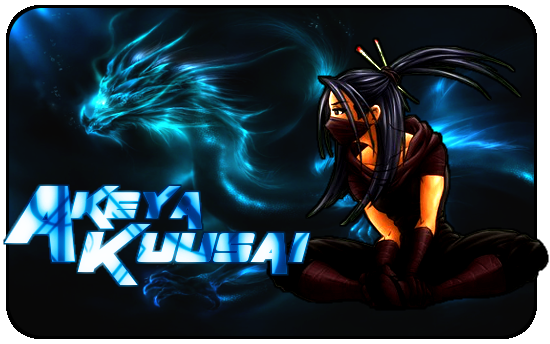 Due to her always being in despair, her death form had sprung up for a very long time, killing everything around her. It was a sad life for her, with death being all around her, she felt forever lonely. It wasn't until a few centuries after that, until she somehow found her way into Earthland. She was known as a destructive force that had to be stopped by the highest ranked mages in the nation. That was when a celestial wizard took pity on her, and instead of outright killing her, captured her in a celestial key to be used for good instead of bad, or vice versa. However, once the mage that carried her died, the key had become lost. Somehow, it seemed to have ended up in a grotto, filled with the effects of so much life and death from the key being in the area for so long. Now though, it is up for sale, ready to be dealt with in whichever way possible. Because after all, she doesn't care who accepts her, she just wants to feel accepted in the world. Description: Leona has two parts in herself, the part that brings unimaginable death, and the part that brings unimaginable life. She can switch between these sides at will, but every time she does, the effects of her new side affect both enemies and allies for one post, then act as normal. Leona feels her heart begin to explode with a negative emotion of some sort. As she does, she begins to transform into a new form. One filled with death, instead of life. After that, her aura gains another effect to it, all enemies that stay in range of her aura, are dealt 25% of user rank burst spell damage each post while in the aura. And to make it harder for them, a sense of dread overcomes them while in the aura, slowing them by 20%(+5% every rank above D). Leona can also feel a intense happiness come over her. Whenever she is feeling a positive emotion, she is overcome by her side filled with life, not death. This changes her aura extremely, meaning that her Aura now gives all allies within the aura a 25% speed buff as well as healing everyone in the aura of 25% user rank burst spell damage every post. The thread will be closed for 24 hours so that everyone gets the chance to have a look at the items! After that, it's first come, first serve! 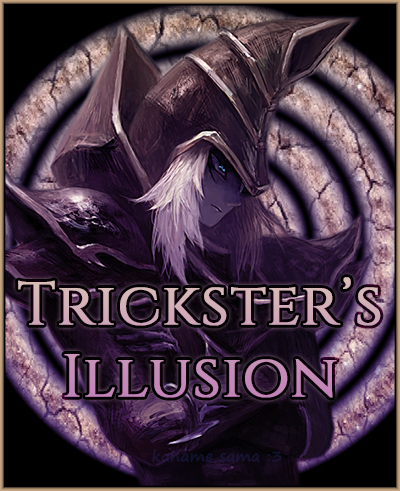 Purchasing the Trickster’s Illusions lacrima with CC, please and thank you! @Serilda Sinclair wrote: Purchasing the Trickster’s Illusions lacrima with CC, please and thank you! Buying Leona with 350,000 jewel. @Jennifer Ford wrote: Buying Leona with 350,000 jewel. I wish to purchase the Crown of Persephone for 500,000 Jewels. @Victoria Sheridan wrote: I wish to purchase the Crown of Persephone for 500,000 Jewels. Purchasing the pet for 500,000 jewel. @Sarah Stone wrote: Purchasing the pet for 500,000 jewel. @MarkusEldridge wrote: Gotta Catch them all.